There is a sense of dissatisfaction among the armed forces against the government on a range of issues. For one, One Rank One Pension (OROP) is back in the spotlight with defence veterans feeling disappointed with its half-baked implementation. In another instance, some segments of the armed forces have been unhappy by the rejection of the long-standing demand for granting higher Military Service Pay (MSP) for over 1.12 lakh military personnel including Junior Commissioned Officers of the Army. And in yet another instance, the Chief of Army Staff Gen. Bipin Rawat’s recent statement warning soldiers against trying to ‘feign’ disability to avoid duty or get benefits, was widely criticised by the defence veterans. More than four years ago when he became the Prime Minister, Narendra Modi had promised to implement OROP. He did, but as the veterans claim, it wasn’t implemented in its true spirit. That’s the reason they have continued to protest for its complete implementation. In a reply to a question in the Lok Sabha on 19 December 2018, the government said it had implemented OROP with effect from 1 July 2014. As on 30 September 2017, a sum of Rs 10,795.4 crores had been released to 20,60,220 defence forces pensioners/family pensioners in four instalments towards the arrears. It also said that it had appointed One-Member Judicial Committee (OMJC) on OROP to investigate anomalies, if any, arising out of implementation of OROP. The committee submitted its report on 26 October 2016. And now, it has constituted another internal committee to examine the recommendations of the previous one. This seems to be endless, going around in circles. Another committee ordered by the Rajya Sabha, headed by B.S. Koshyari, with 10 MPs under it, submitted its report to the house on 19 December 2011. The report carried the same definition of OROP and recommended the provisions be granted accordingly. The UPA government at that time cited difficulties, technical and financial, in the implementation of OROP, however later they accepted it. 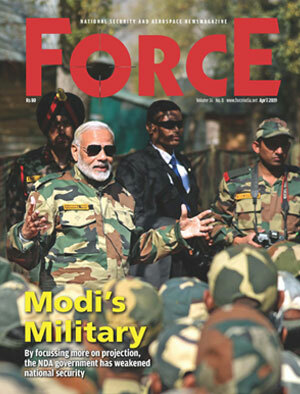 When Narendra Modi was declared the prime ministerial candidate of the National Democratic Alliance, he called an ex-servicemen rally at Rewari on 15 September 2013 where he promised he will ensure OROP is implemented immediately after he takes over. On 17 February 2014, the UPA government sanctioned OROP with the original definition, incorporating all the demands the veterans had raised. When NDA came to power, in its first budget delivered by finance minister Arun Jaitley, they accepted the provisions of OROP as in the original definition. The then minister of state for defence, Indrajit Rao on 2 December 2014, in response to a question, also reiterated that the government was committed to the full implementation of OROP with all the provisions, but in the end, it was not carried out as promised. Once it became clear that the government was non-serious about OROP, the veterans started their protests from 15 June 2015 once again. On 7 November 2015, they issued an order announcing the implementation of OROP, but the actual definition was still not there. It mentioned the equalisation of pension on periodic intervals - five years - which is contrary to what was quoted in the original provision raised by the previous committees and promised by the government. Take for example, a senior defence person who retires today will get less pension than his junior who retires later after he gets an increment. The passed order, therefore, was contrary to the provisions of OROP.